LED’s have become so cheap, reliable and durable over the last 5 years that you are almost guaranteed to find them on any modified 12V vehicle you look at. 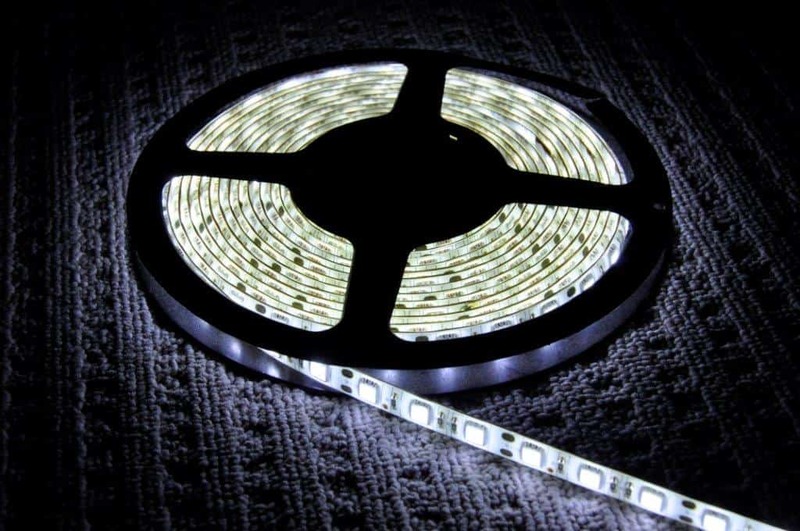 There are a wide range of LED products on the market, and LED Strip Lighting is one of the more popular options for a variety of applications. What is LED Strip Lighting? As the name suggest, LED Strip lighting is a series of LED’s set into a silicon strip, which can be stuck onto a wide range of surfaces.. They usually come in a 5 metre roll and have LED’s placed every 15 – 20mm (resulting in around 60 LED’s per metre). The strip is waterproof, and usually around 10mm wide by 3mm thick. They are flexible, and can be cut roughly every 50mm to the required length of your application. The real beauty of LED Strip lighting is in its cost. You can buy 5 metres of decent quality strip lighting for $15 – $70. eBay seems to be the best place to get them at a good price, but make sure you are buying decent quality lighting. 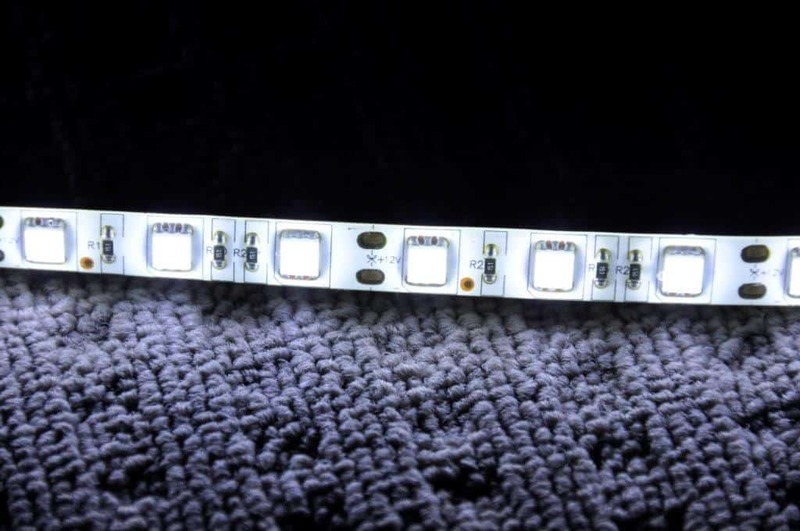 LED Strip Lighting comes with a variety of different LED’s inside the strip, but the most common is the 5050 or 3528. You can get LED’s that are brighter, or those that use less energy, depending on the application. The 5050 LED’s are brighter, but will use more energy. 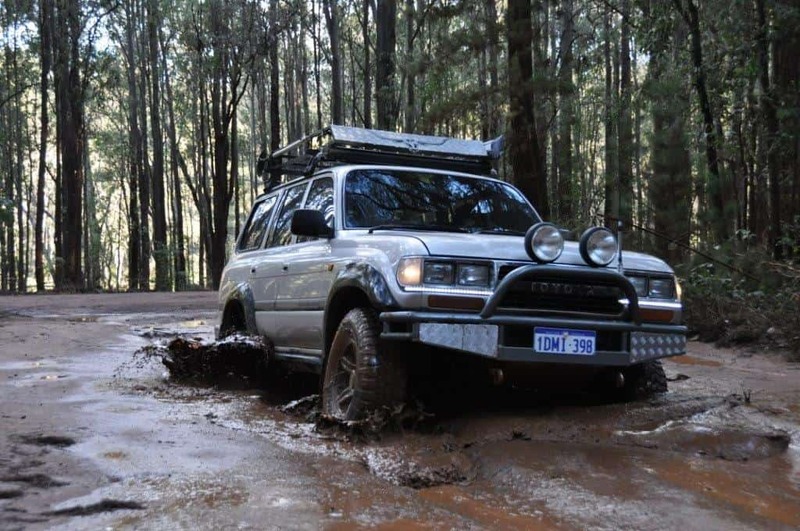 In the scheme of things though, these use very little energy compared to other forms of lighting, which makes them the perfect way to add lights to your 4WD, boat, motorbike, caravan or camper trailer. Like most lights, you can get LED Strip lighting in a variety of different colours. Cool white is most common, but you can get warm white, yellow, red, orange, blue and basically any other colour that you want! 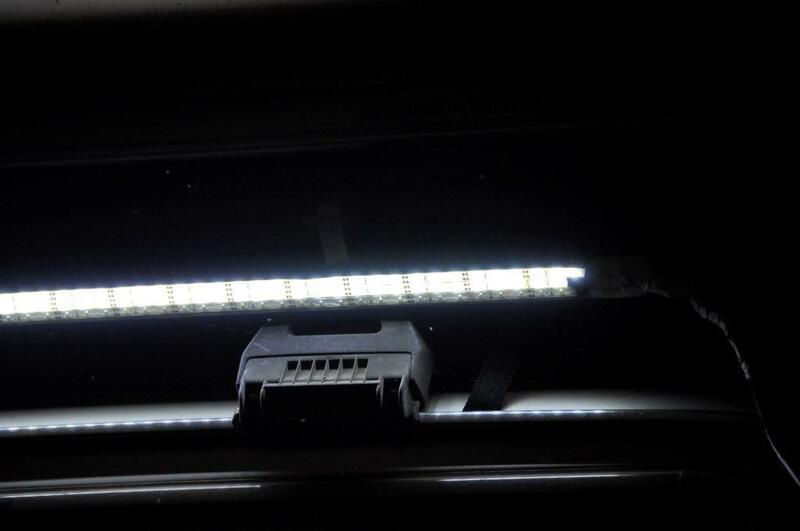 LED strips usually run off 12V DC, which makes them very safe to work with and easy to install. You can get other voltages (24 and even 240), but they are less common. I always recommend doing a bit of background reading on what you are buying. You can buy dirt cheap LED stripping, but don’t expect the quality to be the same as the more expensive versions. LED Strip Lighting comes with self-adhesive tape on the backside, and the best in the market is made by 3M. I’d suggest this is a good starting point, as the tape is the only thing holding this lighting in place. The lumen output is important too, so find a seller that is reputable. Those on eBay selling Australian stock are a great place to start. LED Strip lighting is seriously easy to install. If you purchase a roll, just cut the sections to the length that you need (there are scissor marks every 50mm or so), and then solder the positive and negative wiring onto the strip (make sure this is done the right way around or they won’t work!). If you aren’t keen on soldering, you can buy pre-installed wiring strip lights, which makes it a bit easier. Alternatively, you can buy connectors and forego the soldering completely! From there, put some heat shrink over the solder, and then clean the area that you are sticking it to. Once it is perfectly dry, pull the self-adhesive tape cover off, and stick your light in place. You can join your LED strips together to run them off the same power, source, or run individual wiring, depending on the application. A lot of people put plugs on the end of their wiring, to allow the lights to be physically plugged in as required. Switches are usually a requirement too, so work out how you want to turn them on and off. I have seen a number of wireless remotes that can be mounted so you can turn them on and off away from the vehicle, and many also have the ability to dim the lighting. Awesome technology! Where can you mount it? You can mount this stuff anywhere you want, as long as it sticks and you can get power to it. I’ve seen it on 4WD awnings, inside of vehicle roofs, under boat sides, on tail gates, inside drawers, under kitchen cupboards and around driving lights. It is waterproof, and can be mounted outdoors. Anywhere you can stick it! When you install the strip lighting, you will need a way to turn it on and off. For most applications, a simple switch mounted in an easily accessible place will be fine. However, if you need to physically disconnect the wiring, just connect a waterproof socket so you can unplug it as required. If you want to get more advanced, you can get dimmers and wireless remotes to turn and adjust the LED Strip Lighting. 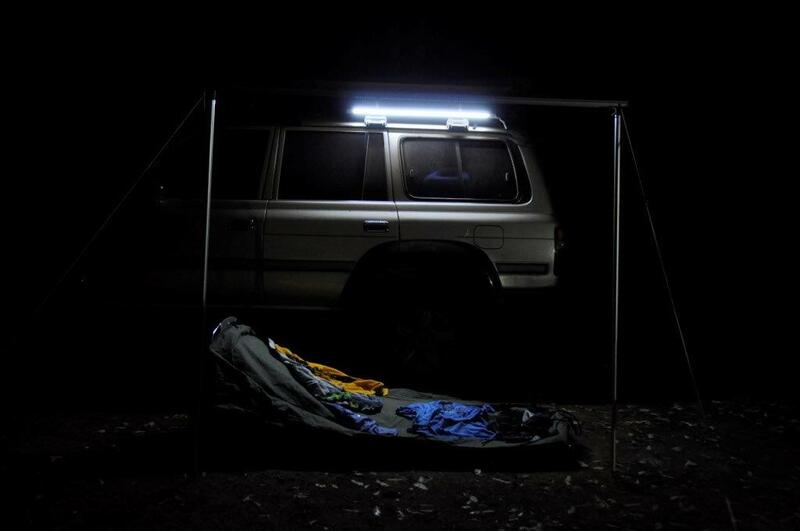 This is fantastic when camping, as you can turn the lights off when sitting around a campfire and turn them back on when you want to get up. You won’t find a more versatile lighting option at such a low cost; LED technology has grown in leaps and bounds over the last few years, and will be a big part of lighting for years to come. If you are after a cheap, simple to install and versatile lighting option, get yourself some LED Strip Lighting. Excellent writeup there Aaron. It sure is handy stuff, I have some in my awning, have strategically placed it in the back of the patrol as interior lighting, and even have it in my rooftop tent rigged up to one of those little inline dimmer switches you mentioned. In the tent is hands down the handiest place to have it! Cheers Alex. I’ve got a roll here that I need to use on my 80. How do you route the cabling to the rooftop tent? I’m going to do that. I need to install some on the awning. We were down at Brunswick on the weekend and a mate had some setup like that; it worked very well. Cheers!